Just like a miniature metal painting ! The 'Desert Sun' Tie Tac is entirely hand fabricated. 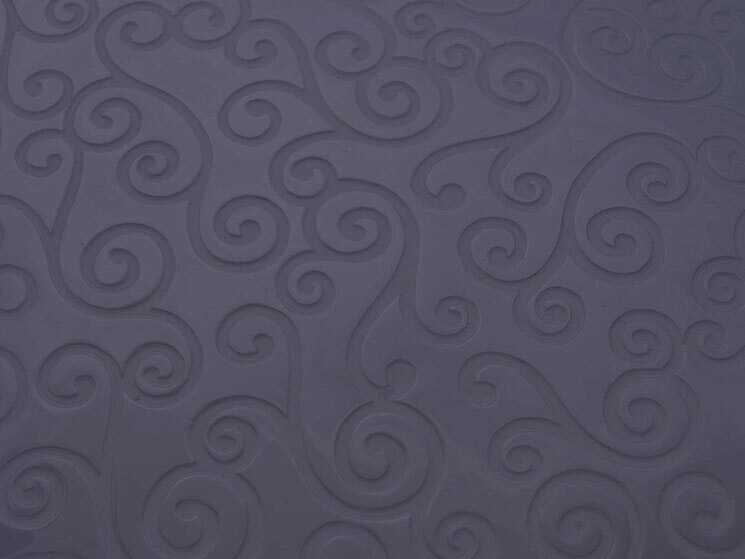 The mini scene is comprised of a chased sterlium (a new silver alloy which is fine silver alloyed with germanium instead of copper to resist tarnish) background highlighted by a solid mirror finished sterlium frame. The 'Desert Sun' Tie Tac is secured with sterling silver pin and clutch. The tie tac features a bezel set 4 mm round, facetted genuine Mexican Fire Opal gem. The 'Desert Sun' Tie Tac measures 19 x 19 mm and has a 3 gram total weight. 'Desert Sun' Tie Tac $119. If you would like to commission a Tie Tac of your own ... please contact us by e-mail or phone at Rubyblue Jewelry. All of the jewelry showcased in the 'one-of-a-kind' collection are artist originals. 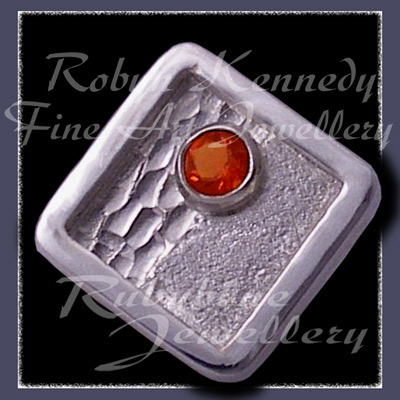 To purchase the 'Desert Sun' Mexican Fire Opal Tie Tac without using PayPal, please contact us by e-mail or phone at Rubyblue Jewellery.